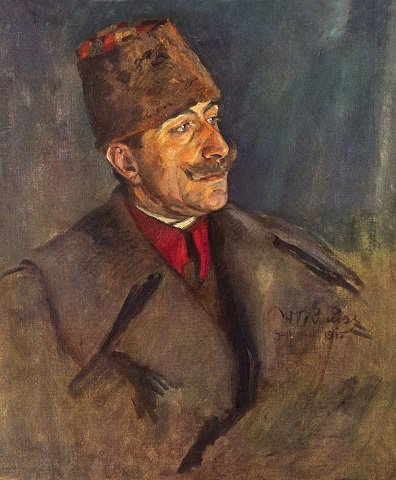 Cevat was born in 1870 in Istanbul. After studying at Lycee Galatasaray, he went to the War Academy and graduated in 1893 at the rank of captain. He was deployed to the Imperial Guard in Istanbul, where he rapidly climbed the ranks and became a General. 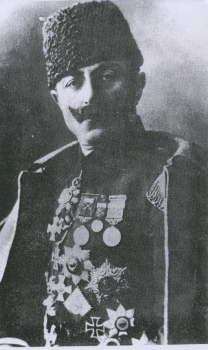 However, his “Pasha” title was to disappear for some time, because in 1908, as a part of the army reformation efforts several officers who were deemed to have promoted too fast were to be demoted and Cevat was one of them. Before the Balkan War, Cevat was the director of the Army Staff School. When the war broke out, he was appointed as the chief of staff of the East Army and became a general again. 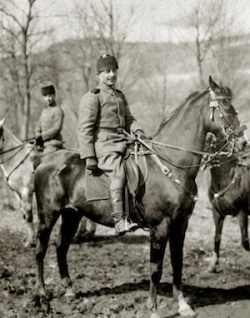 Cevat Pasha is best known as one of the architects of the Turkish defence in Gallipoli. 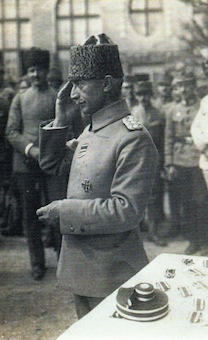 When Turkey entered the war, Cevat Pasha assumed the command of Çanakkale Fortified Zone. He had a superior performance in perparing the defences of the city and the Straits and played a remarkable role in the victory of March 18, 1915, when Allied naval attempts to break through the Dardanelles failed. After the war was over in Gallipoli, he served in Galicia and Palestine. Later he became the commander of the Seventh Army. After the armistice, he was kept a prisoner of war in Malta, but later he was released and returned home. In the following years, he served as a member of the Turkish Supreme Military Council. Cevat Pasha died in 1938 in Istanbul.